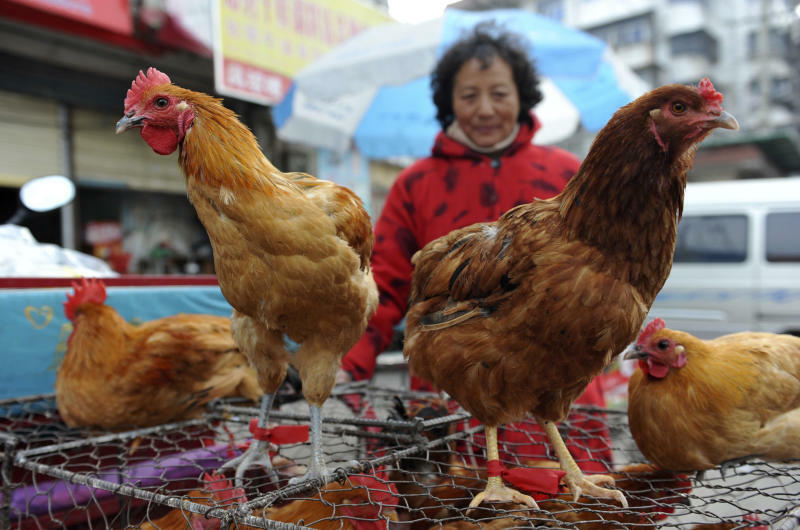 BEIJING (AP) — Health officials say they still don't understand how a lesser-known bird flu virus was able to kill two men and seriously sicken a woman in China, but that it's unlikely that it can spread easily among humans. Two men in Shanghai became the first known human fatalities from the H7N9 bird flu virus after contracting it in February. A woman in the eastern city of Chuzhou remains in serious condition, China's National Health and Family Planning Commission said. It was unclear how the three patients became infected, the health agency said. It sought to calm fears about the virus but provided few details about each case. Authorities have not described the patients' occupations or said whether they had come into contact with birds or other animals. The health authority noted, however, that two sons of one of the Shanghai men also suffered from acute pneumonia, one of whom died, and the source of their infection is still unknown. 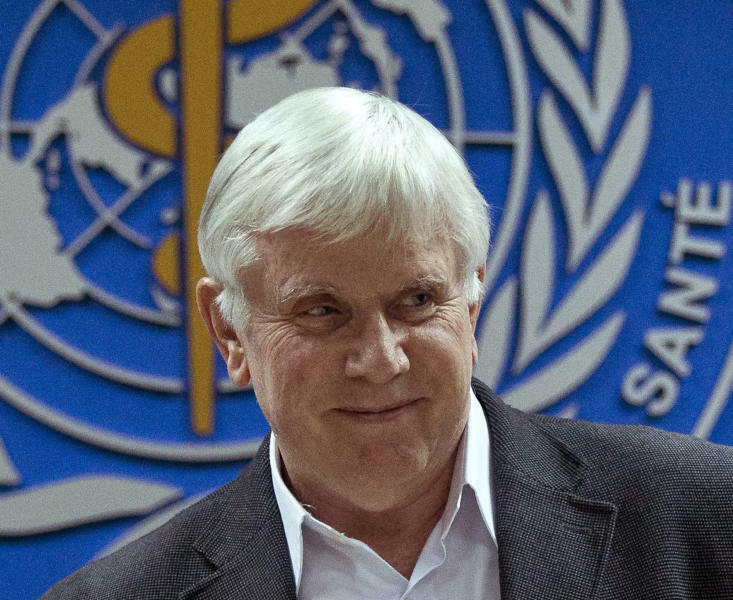 Other people who were in close contact with the victims have not become sick, indicating that the virus is not easily transmitted between humans. "We don't know yet the causes of illness in the two sons, but naturally, if three people in one family acquire severe pneumonia in a short period of time, it raises a lot of concern," the World Health Organization's China representative, Michael O'Leary, said at a briefing in Beijing late Monday. Many epidemiologists regard densely populated parts of China and Southeast Asia, where farmers often live in close quarters with pigs and poultry, as regions where conditions are ideal for nurturing infectious diseases that jump from animals to humans. An earlier deadly outbreak of SARS, or severe acute respiratory syndrome, was linked to wild animals that infected animals, which in turn infected people in that region. Other strains of the H7 family of bird flu viruses have caused mostly mild human infections in the past, said University of Hong Kong microbiologist Malik Peiris, with cases reported in the Netherlands, Canada, the U.S. and Britain — mostly following outbreaks in poultry. Experts say the deaths in China might indicate that the H7N9 strain has morphed to become more lethal to humans, although it's not possible to make any conclusions yet about its mortality rate because many mild cases may go undetected. A thorough tracing of the virus is critical. "I would guess that given the severity of the human disease it is likely that these particular viruses have undergone the change to become highly pathogenic but obviously that remains to be ascertained," Peiris said. "The crucial question is the source of this virus, where is it." Scientists have long feared that another bird flu strain, H5N1, might mutate to spread more easily. But while it has decimated poultry stocks mostly in Southeast Asia, it has only occasionally sickened people — mostly after close contact with infected poultry. It can be deadly when it does infect humans, though, killing about 60 percent of the time. 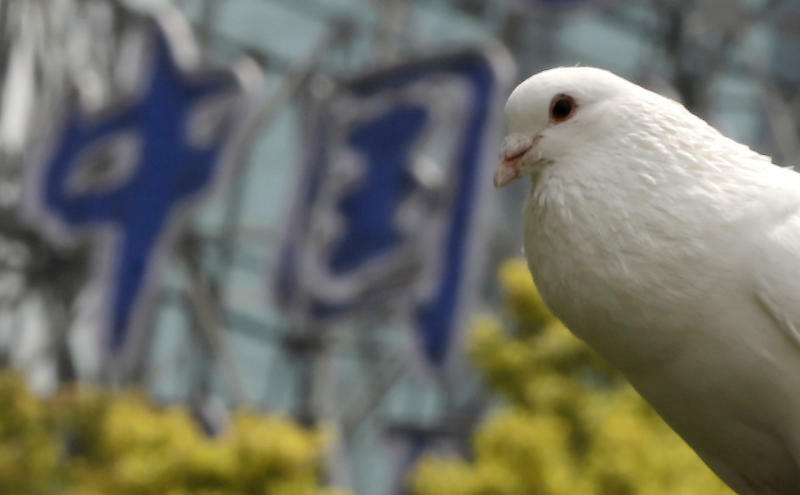 "At the moment, there has been not much evidence of human-to-human transmission (of H7N9) so to that extent it is similar to the H5N1 situation, but it is early days and so there's a lot more to be understood," Peiris said. More than 16,000 pig carcasses were fished out of the river system that supplies some of Shanghai's water supply in March, apparently dumped by farmers after they were sickened, and some observers have wondered whether there might be a link between the sickened pigs and the bird flu deaths. Virologists also study pigs because they can serve as hosts for bird viruses and human viruses to mix and mutate. Shanghai's animal disease prevention bureau Monday tested 34 samples taken from the dead pigs but did not find any bird flu viruses, state media reported. Scientists classify flus based on the proteins on the surface of the virus: There are 17 varieties of hemagluttinin, the H in a flu's name, and 10 varieties of neuraminidase, the N component. Any combination of those Hs and Ns could crop up and potentially mutate into a form that's spread easily from person to person, making it dangerous enough to produce a pandemic. Health authorities are monitoring 88 people who came into contact with the H7N9 patients and have not found any additional infections so far, China's health agency said. Experts say that indicates that the chance of human-to-human transmission is low. "It is very unlikely, because the virus has to break the species barrier and this is usually quite a difficult event. There has to be a lot of significant mutation," said David Hui, an infectious disease expert at the Chinese University of Hong Kong. One of the male victims of H7N9, who was 87, became ill on Feb. 19 and died on Feb 27. The other man, 27, became ill on Feb. 27 and died on March 4, the Chinese health commission said. A 35-year-old woman in the Anhui city of Chuzhou became ill on March 9.
WHO's O'Leary said it was difficult to predict the lethality of the virus but such emerging viruses tended to be more severe in humans and authorities were always on the lookout for a virus that might cause a severe pandemic. "This may be a dead-end ... there's a few sporadic cases, it's hard to transmit to humans and doesn't transmit from human to human," he said. "But what we want to watch out for is whether it is a virus that is both serious for humans and easily transmitted."